Here are some links to major Industry organizations to which we contribute our ideas and our leadership. The rest of these groups are run by our colleagues, and we simply admire them and support their work. Click on the Logos or names. 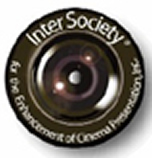 The ICTA The International Cinema Technology Association is a technical association that is commited to ehansing the exhibition of digital and film based motion pictures. To further this goal, it conducts technical seminars around the world. For the last six years Harry Mathias has helped organize the speakers program at the ICTA Seminar Series internationally and has given one or more presentations at each Seminar.Harry Mathias has been elected to the Board of Directors of the ICTA (International Cinema Technology Association) for two 3-year terms. He was awarded the Allen Award for "Exemplary service to the Association" twice in 2005 and in 2007. The SMPTE DC-28 Mathias was a founding member of the Society of Motion Picture and Television Engineers DC28 D-Cinema standards committee and has served on all the subcommittees since their inception. The BKSTSThe British moving Image Technology Society whose membership extends throughout Europe and the US, The mission of the BKSTS is "To encourage, sustain, educate, train and represent all those who are involved creatively or technologically in the business of providing moving images and associated crafts in any form and through any media". The ISDCFThe goal of ISDCF is to provide a forum to discuss issues for the World Wide launch of Digital Cinema. We have over 150 members participating including Studios, Exhibitors, Integrators, Equipment Manufacturers, Consultants, and other committees. The Hollywood Post Alliance The Hollywood Post Alliance is the association representing the Southern California-based professional community of businesses and individuals who provide expertise, support, tools and the infrastructure for the creation and finishing of motion pictures, television, commercials, digital media and other dynamic media content. The D-Cinema Today Website. This is the Industry's favorite Digital Cinema Deployment tracking website. Owned and operated by Bill Mead, and updated frequently, this is the first place that insiders look to for fair and accurate Digital Cinema reporting. The European Digital Cinema ForumThe official European Digital Cinema Forum. As D-Cinema moves into a new phase of deployment, the EDCF Board is re-focussing the organisation to meet the new challenges and expectations as the industry moves forward.